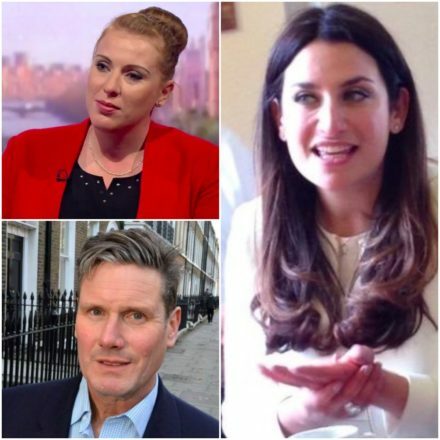 Angela Rayner and Keir Starmer have condemned any move to initiate deselections after backbench colleague Luciana Berger’s local party was taken over by pro-Corbyn activists. One member of the new CLP said that Berger needed to “get on board quite quickly now” and that she was “answerable to us”. “She will now have to sit round the table with us the next time she wants to vote for bombing in Syria or to pass a no confidence motion in the leader of the party,” Roy Bentham, the new trade union liaison said to the Liverpool Echo. Some interpret these comments as a step towards deselection. Rayner told activists to focus on the “real enemy”. “Luciana has done a tremendous amount of work [on mental health], she’s an absolutely valued member of the team,” she said, in reference to Berger’s work as president of the Labour Campaign for Mental Health. It comes as Starmer said, in an interview with The House magazine, that there was not widespread support for ousting MPs. Chris Williamson, the Corbynista MP for Derby North and shadow fire minister, has backed mandatory reselections as a way to “focus minds”. Such a change would make it easier to deselect sitting MPs. Starmer also criticised comments from party chair and key Corbyn ally Ian Lavery, in which he suggested that Labour was “too broad a church” and that MPs had to “work very hard” to keep their positions. Lavery backed Andy Burnham in the 2015 leadership contest. “We’re a broad church and we should remain a broad church. It is one of the great strengths of the party that it’s a broad church. It has allowed the party to change over time and to remain relevant over the very many years of its history.